These arts groups get the most taxpayer dollars from Salt Lake County’s ZAP program. How well do they serve diverse audiences? 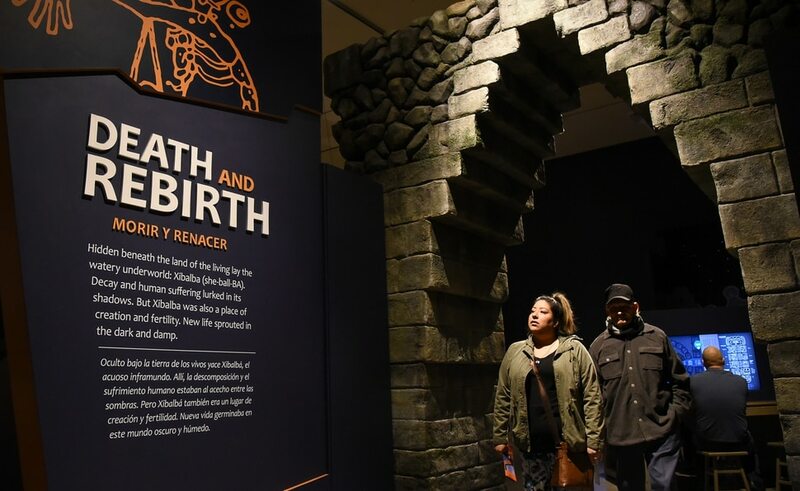 (Francisco Kjolseth | The Salt Lake Tribune) Magdalena Muñoz tours the new Maya exhibit with her grandfather Antonio Muñoz, 84, who appreciated the Spanish translations provided in the exhibit. The Natural History Museum of Utah recently received $1,175,721 in funding from the Salt Lake County Zoo, Arts and Park program. The Tier I arts organization, the name for the county's large arts programs, is one of many working to appeal to a diverse audience as the state's population grows and changes. The Natural History Museum has translated its brochures into Spanish and visits every fourth grade class on the west side in an effort to increase accessibility and grow its visitorship. (Francisco Kjolseth | The Salt Lake Tribune) The Natural History Museum of Utah recently received $1,175,721 in funding from the Salt Lake County Zoo, Arts and Park program. The Tier I arts organization, the name for the county's large arts programs, is one of many working to appeal to a diverse audience as the state's population grows and changes. The Natural History Museum has translated its brochures into Spanish and visits every fourth grade class on the west side in an effort to increase accessibility and grow its visitorship. (Francisco Kjolseth | The Salt Lake Tribune) Spanish and English welcomes visitors to the new Maya exhibit at The Natural History Museum of Utah. The museum recently received $1,175,721 in funding from the Salt Lake County Zoo, Arts and Park program. The Tier I arts organization, the name for the county's large arts programs, is one of many working to appeal to a diverse audience as the state's population grows and changes. The Natural History Museum has translated its brochures into Spanish and visits every fourth grade class on the west side in an effort to increase accessibility and grow its visitorship. (Francisco Kjolseth | The Salt Lake Tribune) Spanish visitor guides are available at The Natural History Museum of Utah. The museum recently received $1,175,721 in funding from the Salt Lake County Zoo, Arts and Park program. The Tier I arts organization, the name for the county's large arts programs, is one of many working to appeal to a diverse audience as the state's population grows and changes. The Natural History Museum has translated its brochures into Spanish and visits every fourth grade class on the west side in an effort to increase accessibility and grow its visitorship. (Francisco Kjolseth | The Salt Lake Tribune) Spanish and English welcomes visitors to the new Maya exhibit at The Natural History Museum of Utah. The museum recently received $1,175,721 in funding from the Salt Lake County Zoo, Arts and Park program. The Tier I arts organization, the name for the county's large arts programs, is one of many working to appeal to a diverse audience as the state's population grows and changes. The Natural History Museum has translated its brochures into Spanish and visits every fourth grade class on the west side in an effort to increase accessibility and grow its visitorship. (Francisco Kjolseth | The Salt Lake Tribune) Spanish and English welcomes visitors to the new Maya exhibit at The Natural History Museum of Utah. The museum recently received $1,175,721 in funding from the Salt Lake County Zoo, Arts and Park program. The Tier I arts organization, the name for the county's large arts programs, is one of many working to appeal to a diverse audience as the state's population grows and changes. The Natural History Museum has translated its brochures into Spanish and visits every fourth grade class on the west side in an effort to increase accessibility and grow its visitorship. (Francisco Kjolseth | The Salt Lake Tribune) Spanish and English welcomes visitors to the new Maya exhibit at The Natural History Museum of Utah. The museum recently received $1,175,721 in funding from the Salt Lake County Zoo, Arts and Park program. The Tier I arts organization, the name for the county's large arts programs, is one of many working to appeal to a diverse audience as the state's population grows and changes. The Natural History Museum has translated its brochures into Spanish and visits every fourth grade class on the west side in an effort to increase accessibility and grow its visitorship. (Francisco Kjolseth | The Salt Lake Tribune) Spanish and English welcomes visitors to the new Maya exhibit at The Natural History Museum of Utah. The museum recently received $1,175,721 in funding from the Salt Lake County Zoo, Arts and Park program. The Tier I arts organization, the name for the county's large arts programs, is one of many working to appeal to a diverse audience as the state's population grows and changes. The Natural History Museum has translated its brochures into Spanish and visits every fourth grade class on the west side in an effort to increase accessibility and grow its visitorship. (Francisco Kjolseth | The Salt Lake Tribune) Spanish and English welcomes visitors to the new Maya exhibit at The Natural History Museum of Utah. The museum recently received $1,175,721 in funding from the Salt Lake County Zoo, Arts and Park program. The Tier I arts organization, the name for the county's large arts programs, is one of many working to appeal to a diverse audience as the state's population grows and changes. The Natural History Museum has translated its brochures into Spanish and visits every fourth grade class on the west side in an effort to increase accessibility and grow its visitorship. 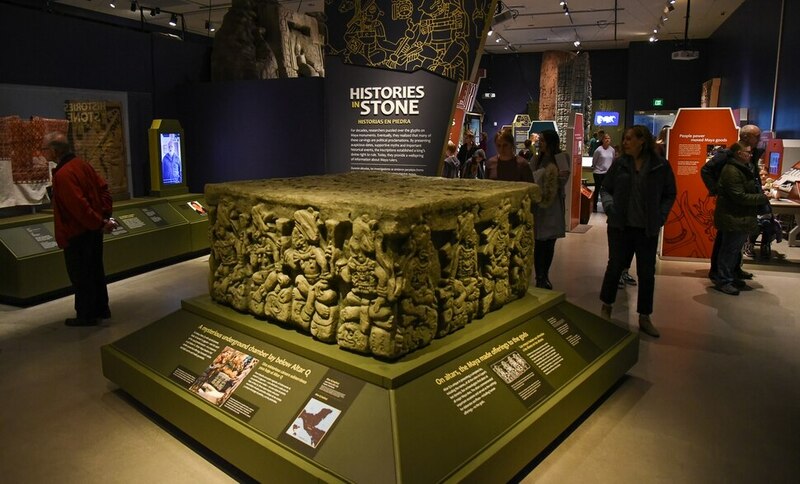 (Francisco Kjolseth | The Salt Lake Tribune) Spanish and English welcomes visitors to the new Maya exhibit at The Natural History Museum of Utah. The museum recently received $1,175,721 in funding from the Salt Lake County Zoo, Arts and Park program. The Tier I arts organization, the name for the county's large arts programs, is one of many working to appeal to a diverse audience as the state's population grows and changes. The Natural History Museum has translated its brochures into Spanish and visits every fourth grade class on the west side in an effort to increase accessibility and grow its visitorship. (Francisco Kjolseth | The Salt Lake Tribune) Spanish and English welcomes visitors to the new Maya exhibit at The Natural History Museum of Utah. The museum recently received $1,175,721 in funding from the Salt Lake County Zoo, Arts and Park program. The Tier I arts organization, the name for the county's large arts programs, is one of many working to appeal to a diverse audience as the state's population grows and changes. The Natural History Museum has translated its brochures into Spanish and visits every fourth grade class on the west side in an effort to increase accessibility and grow its visitorship. UtahPresents, a nonprofit that brings artists from multiple disciplines to stages at the University of Utah, has set increasing the diversity of its board — its members’ ethnic backgrounds and sexual orientations — as a priority for 2018-19. As booming growth alters the demographics of Utah, many of the state’s large arts organizations are shifting their focus to provide more programming for a changing population. It’s the direction all arts organizations in the state are headed, said Kirsten Darrington, program director of Salt Lake County’s Zoo, Arts and Parks (ZAP) program — which has begun asking all organizations seeking its taxpayer dollars to describe their diversity efforts. The Salt Lake County Council approved in December $14.3 million in funding for 22 large arts organizations and three zoological organizations as part of its Tier I awards process. In the fall, $2.2 million was divvied up among 183 smaller Tier II groups. Last year, the large arts organizations reinvested $90 million back into the economy, brought nearly 30,000 events to the county and provided more than $1.7 million in free admissions to residents, Darrington said. In their applications for funding, the organizations described a range of definitions of diversity — including ethnic backgrounds, gender, sexual orientation and digital natives — and efforts toward increasing it on their boards and in their programming. Many agreed it’s both a moral and financial imperative to grow their appeal among new and diverse audiences. Utah ranks No. 1 for population growth this decade, adding nearly 400,000 people to the state in that time, according to estimates from the U.S. Census Bureau released in December. Since 2010, a net increase of 113,136 immigrants came to Utah, with 59 percent from other states and 41 percent from other countries. Most of the state’s future growth will be generated by these populations, demographic researchers predict, and the state is already beginning to see the ripple effects. The Salt Lake City School District, for example, says its students speak 90 languages and that most of its schools now have a majority of students who are from the state’s minority groups. In the face of these changes, the Natural History Museum has identified the Latin community — which George said is an underrepresented demographic within the museum, based on the number of people from the group who visit the museum versus their overall population — as its primary target for audience building. As it works toward that goal, the museum has translated some of its brochures into Spanish. It’s hired staff who speak the language and can do community outreach and marketing. And it ensures all its traveling exhibits have both English and Spanish description labels. “Our goals are to reach out and make people feel comfortable regardless of what language they’re speaking,” George said. Initial results suggest their efforts are working, she noted. Though the Tier I funding application asks the larger arts groups about their diversity efforts and the makeup of their boards, their answers don’t have a large influence — for now — on whether they’re funded. To qualify for financial support, larger arts organizations must meet a threshold of spending and have a track record through ZAP Tier II, which funds smaller arts organizations. A group of volunteers scores each application to choose the 22 organizations that will receive funding, and then each gets a proportion of the available dollars, distributed based on each organization’s operating expenses. The process benefits groups with larger budgets. As usual, Utah Symphony | Utah Opera was the arts group allotted the largest amount from taxpayers, and it is estimated to receive $2.2 million. The symphony and opera have collected more than $2 million each year since their 2002 merger, at times awarded as much as $2.8 million. 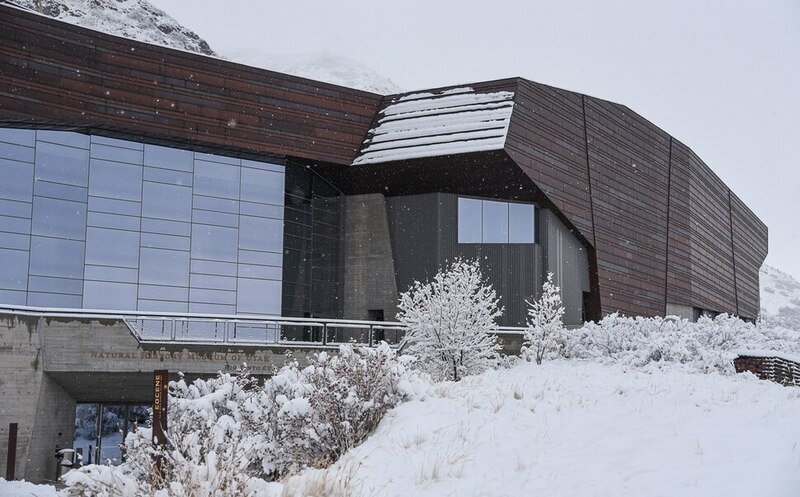 The others receiving at least $1 million for the coming year are Ballet West, Red Butte Garden, Hale Centre Theatre and Natural History Museum of Utah. The ZAP application forms say the program prioritizes organizations “that provide geographic, ethnic and other diversity on its governing and advisory board.” But with only 23 organizations applying this year, the answers in the application mostly offer a way for ZAP staff to offer feedback and support for the organizations that apply. Having diverse programming is built into the mission statement of UtahPresents, Horejsi said. But it’s also good for business because it helps build new audiences that will continue to engage with the organization’s work. When UtahPresents brought to Kingsbury Hall the African-American duo Black Violin, a group that fuses hip-hop with traditional classical music, the show exceeded audience and revenue goals by 64 percent without extra promotion, according to the organization’s ZAP application. And the show brought out a younger, more diverse audience than any other one of the season. Though there are benefits to increasing diversity, the efforts come with challenges, as well. Pioneer Theatre Company prioritizes productions that highlight “diverse voices and perspectives” and pays “particular attention to the diversity of our casts,” according to the organization’s ZAP application. In 2018, that included a concert staging of “In the Heights,” which tells the story of a Latino immigrant community in the Washington Heights neighborhood in New York City; a production of Shakespeare’s “Twelfth Night” set in Creole New Orleans at the turn of the 19th century; and “Oslo,” which chronicles the development of the Oslo Peace Accords between Israel and the Palestinian Liberation Organization in the 1990s. The diversity of those presentations isn’t a specific draw for audiences, according to Christopher Lino, the company’s managing director. 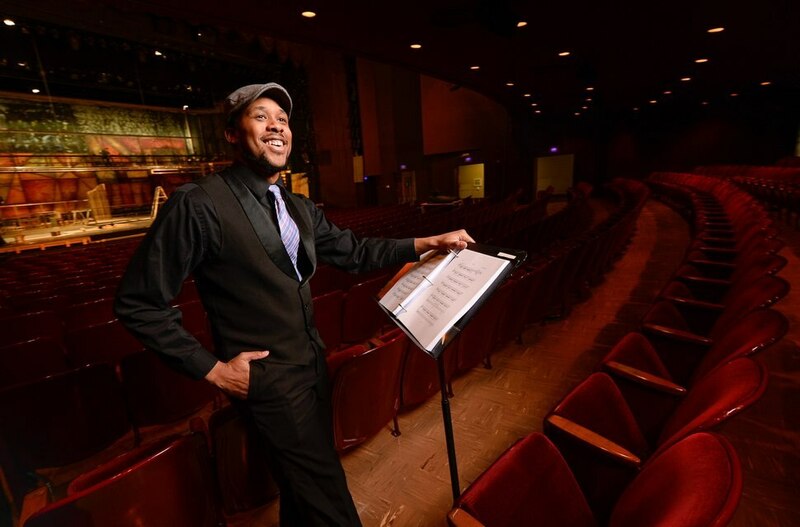 (Francisco Kjolseth | The Salt Lake Tribune) Utah actor Carleton Bluford played one of the male leads, Benny, in Pioneer Theatre Company's 2018 concert staging of "In the Heights," Lin-Manuel Miranda's first Tony Award-winning musical. Bluford played Graffiti Pete in the company's full staging of the musical in 2012. Still, Lino said the organization is always looking at how to grow the next generation of audiences, particularly as it has struggled with ticket sales in the face of competition from the Eccles Theatre downtown and the Hale Centre Theatre in Sandy. It’s trial and error, he said. But the organization finds it’s best to continue trying new things as it works to stay relevant in the face of fast-changing demographics and increased competition. “We couldn’t survive being just the diversity theater and we couldn’t just survive being the family-friendly theater,” he said. “We have to do a little bit of everything." *2019 funding amounts are based on 2017 actual ZAP revenues and could decrease or increase depending on economic conditions.